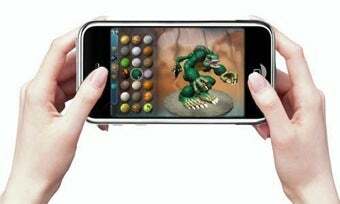 The iPhone is more than a phone, it's also a gaming platform. Ever wonder why there are so many iPhone games? It's because there are so many iPhones. In the third quarter ending June 27, Apple sold 5.2 million iPhone. That's a 626 percent job in over from the same quarter last year. "We're thrilled to have sold over 5.2 million iPhones during the quarter and users have downloaded more than 1.5 billion applications from our App Store in its first year," says Apple's Steve Jobs. Don't expect a slow of iPhone games anytime soon.